Some U.S. cities may have welcomed an announcement last week that the Environmental Protection Agency would delay implementation of a stricter ozone standard enacted under the Obama administration. Not so with San Antonio, which — along with El Paso — was poised to become the latest Texas metro area to fall out of compliance under the new federal standards. Alamo City officials say they will carry on with a years-long effort to curb a slow upward march in ozone levels — and to avoid any additional regulation and enforcement that might come if the city is slapped with “nonattainment” status. The push sets San Antonio apart from other Texas cities, including Dallas, Fort Worth and Houston, which have yet to meet the current emissions standard and aren't actively working to avoid nonattainment under the stricter standard. EPA Administrator Scott Pruitt announced last week that implementation of the new standards, which lower the acceptable threshold of ozone in the air from 75 parts per billion to 70 parts per billion, will be delayed until 2018. When he was Oklahoma's attorney general, Pruitt repeatedly sued over federal environmental regulations, as have Texas' top law enforcement officials. Texas' Republican leaders cheered the postponement, having long complained that the EPA’s standards are overly strict and stifle business activity. Texas is one of nine states suing the EPA over the rule; that case is currently pending before a U.S. Court of Appeals in the District of Columbia. 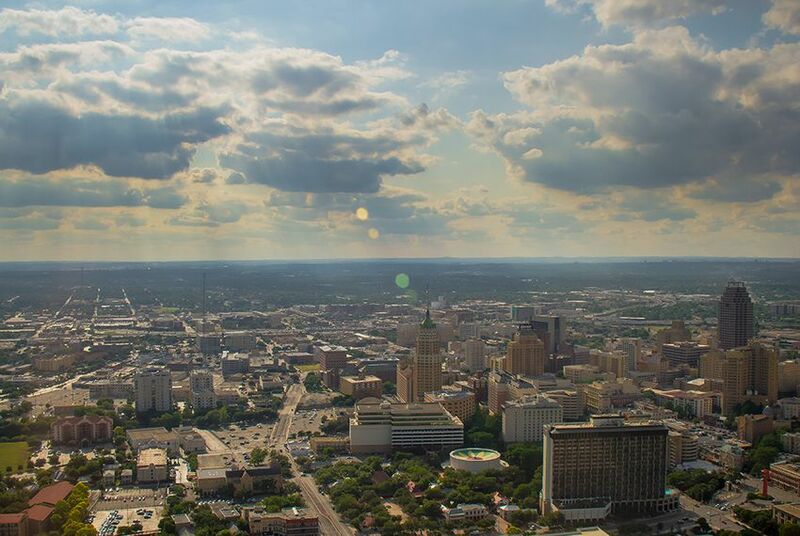 San Antonio's Bexar County complies with current the EPA standard for ozone levels, but it is poised to fall out of line with the stricter standards set to go into effect next year. City officials have set a goal of meeting the new standard by 2020; They have long touted San Antonio as the largest American city that is in compliance with federal ozone standards. Bexar County showed one of the highest levels of ozone pollution in the state from 2013 to 2015, behind only the Dallas and Houston areas, according to Texas Commission on Environmental Quality data. But the three-year average from 2014 to 2016 already shows improvement, city officials said, highlighting a decrease from 78 ppb to 73 ppb. Ozone, which forms when car and industrial emissions mix with airborne compounds in sunlight, has been shown to exacerbate health problems in the most vulnerable populations, including children, the elderly and people who suffer from conditions like asthma and heart disease. Unsafe ozone levels in San Antonio cause an estimated 52 preventable deaths each year, according to a 2016 report from New York University and the American Thoracic Society. The city’s plans include a $75,000 educational campaign about the effects of air pollution, as well as $75,000 set aside for a study to document ozone’s health impacts. A citywide anti-idling ordinance for heavy vehicles is already in place. With the new standards delayed at least a year, though, other Texas cities have yet to start working toward complying. In El Paso, where the 2016 ozone level hovered at 71 ppb — just slightly above the new standard — there are not “any formal plans at the moment” to reduce ozone levels in advance of the new regulations’ official implementation, according to Environmental Services Department Deputy Director John Garza. City Air Quality program manager Karl Rimkus said the city will follow the state’s lead on addressing air pollution. Until the new standards go into effect, the city will continue to hold its attainment status. In documents filed with the TCEQ as part of a public commentary period, El Paso city officials and business groups alike alleged that some portion of the pollution in El Paso comes from nearby Ciudad Juárez, Mexico, and is thus beyond the city’s control. Two major metropolitan areas, Dallas and Houston, have failed to meet 2008 standard of 75 parts per billion for several years and are on track to miss the new, stricter standard as well. The TCEQ has historically questioned the harmful effects of high ozone levels, pitting itself against the scientific community’s consensus. “I’m hopeful that the one-year delay will provide time for the EPA to review the detrimental effects the Ozone Rule will have on the Texas economy,” Paxton said in a statement last week. On a Monday, Gov. Greg Abbott announced he was vetoing several longstanding programs aimed at helping cities and counties combat poor air quality and meet federal air quality standards. “Children in San Antonio and El Paso will continue to suffer breathing difficulties when they are playing outside on bad air days from high ozone during the hot summer days because of this decision,” Carman said. The ozone regulations put on hold for a year must also stand up to the court challenge filed by Texas and eight other states, including Oklahoma, led by Pruitt, who was then the state’s attorney general. In a 2016 letter to the EPA, Gov. Greg Abbott argued that the ozone rule is “unlawful as both a constitutional and statutory matter.” The case is one of more than a dozen that Texas has filed against the EPA in recent years.